I've been fishing from kayak from 2010. and since than we are witnessing great progress in popularity among fishermen and a large number of new kayak models, brands and improved solutions offered by various manufacturers around the world. 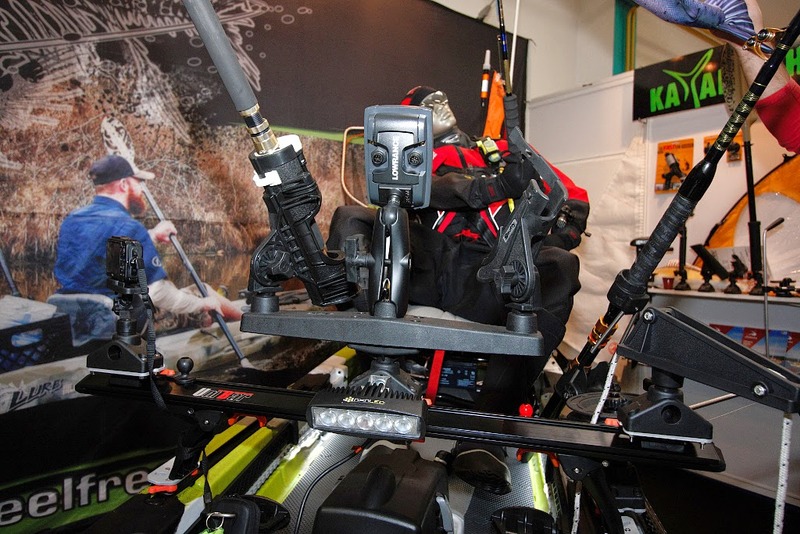 From mine perspective the most important improvements are in the field of kayak stability and better seat comfort. During longer fishing trip main disadvantages of mine older kayak model is inability of standing, although the kayak is very stable in the sitting position. Sitting is OK, but I would like to stand up and stretch my legs sometimes and this is not easy without leaving the kayak. Second disadvantages is sitting only in low position, which is stable and comfort for a hour or two of fishing, but than I would like to sit in higher position and this is not possible without special seat. Recently some local fishermen are speaking about kayak fishing and mostly they mentioned one model (Lure 11,5) and brand (Feelfree), that is entering our market. Feelfree Kayaks are designed by Feelfree International New Zealand and Manufactured by Joy Sports International Co and are distributed in over 26 country’s around the world. From now they are available in Croatia too. Like we are interested only in fishing models, here are 2 different lines or models available in different length - Moken and Lure. Fist I saw Moken 12,5 owned by my good friend Miroslav Vodopija and it is a really nice fishing machine. Stable, long enough and designed for wrestling the waves of Adriatic Sea and every inland water in this area. 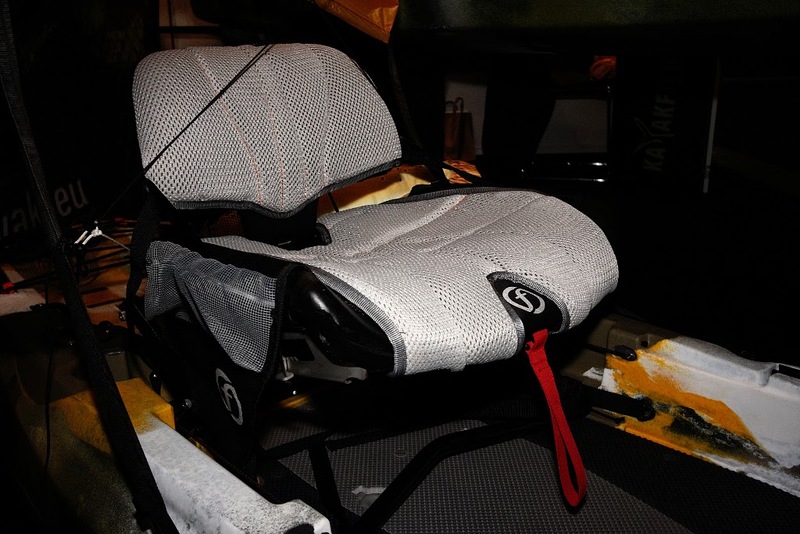 Later I saw another Feelfree model Lure 11,5 and I'm very impressed, primarily due to the stability and the Gravity Seat. This Gravity Seat is indescribably good feature to have it. With it you are able to seat comfortably in low position that is the best position for paddling and in few higher positions with which you can also paddle but are perfect for sight fishing, with great feeling of safety and comfort. When you want to stand up in this kayak this is easy with or without stand up leash. 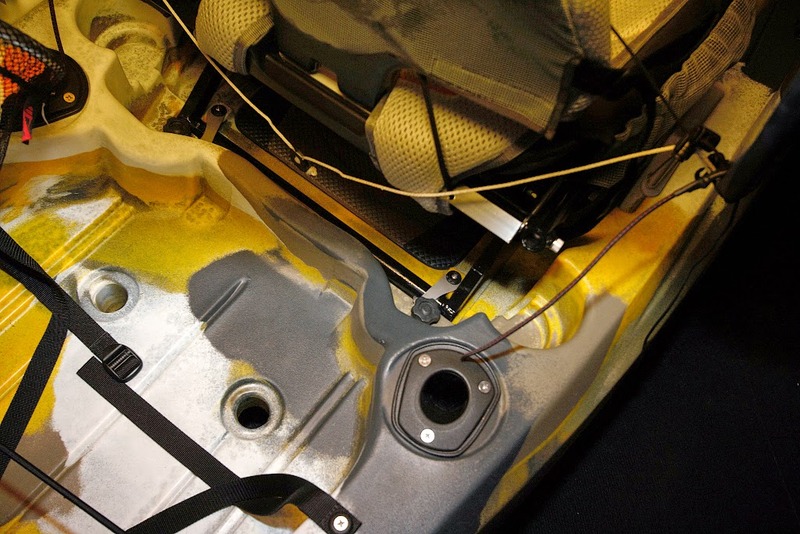 Good feature for easier transport is integrated wheel, and only let say minus can be a weight of 34 kg. I found it like an upper limit for single person manipulation in transport. When you consider that you can carry load of 194 kg you will easily ignore the weight of kayak, because this kayak is able to take all your fishing gears and equipment, together with batteries, electric motor, cooler and you name it what you need for fishing. Taking a test paddling on the local lake few days ago I became convinced that on this kayak water accumulation is prevented so you can fish even without waders. Only water contact will be the one with the water that drains from the paddle. 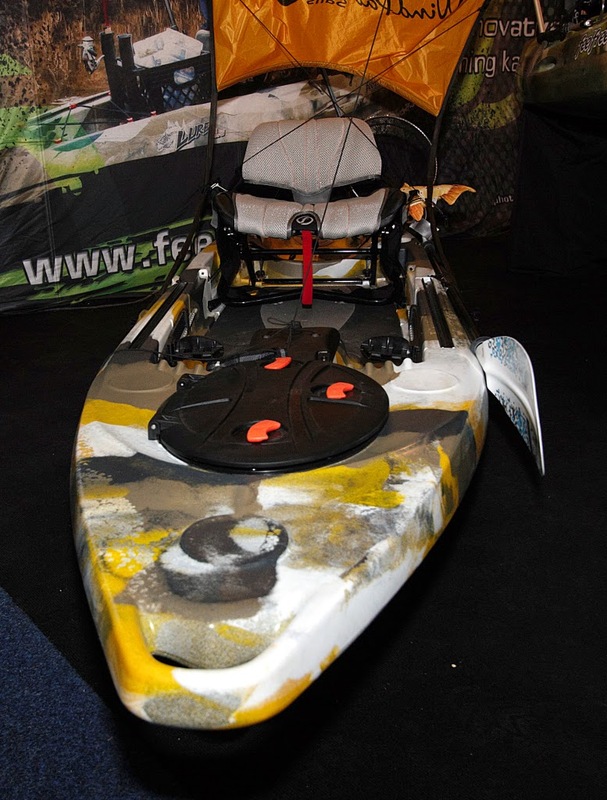 This kayak has great design, nice storage places, standing platform with anti-slip surface, and a lot of possibilities for rigging your kayak. What I really like are Uni Track Rail systems for mounting all your gear like rod holders or fish finder easy without drilling the kayak body. Lure 11,5 has 2 brothers: smaller Lure 10 and larger Lure 13,5 models and those who likes to chose can think about them too. For fishermen in Croatia next weekend (from Friday till Sunday 27.02. - 01.03.) 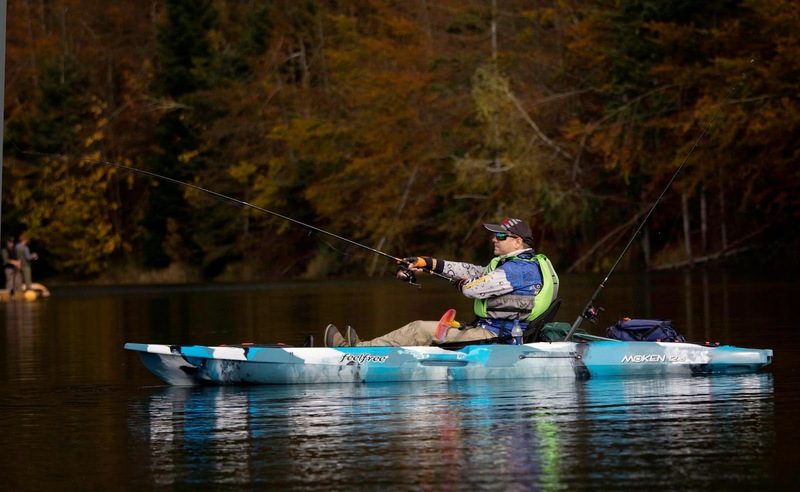 Feelfree fishing kayak presentation will be held at Rakitje lake (Finzula - Zagreb Kamp) near Zagreb. Those who are thinking about buying a kayak will have opportunity to try them in their natural environment. Take a test paddling on this lake and feel the comfort and the stability of Lure and Moken models. 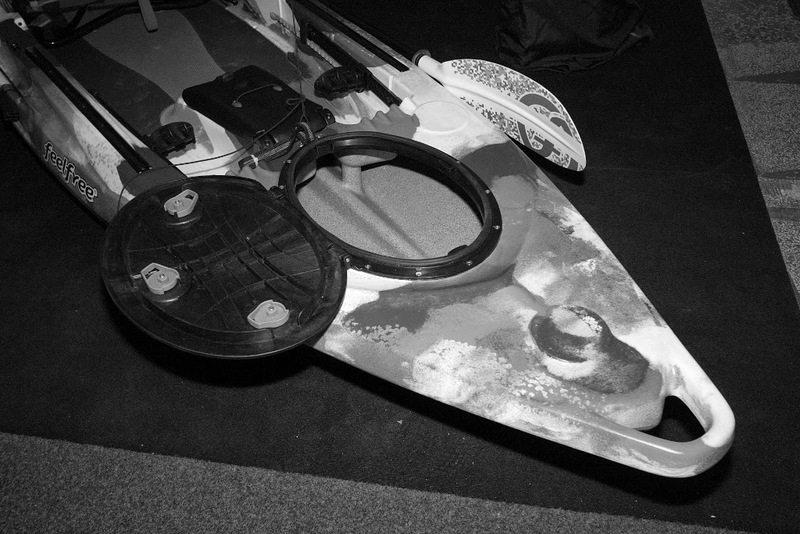 More info about kayak presentation or Feelfree kayaks you can get directly form Croatian distributor at phone +385 91 49 000 89.